Remember the great tremolo tones of the 50’s and 60’s? 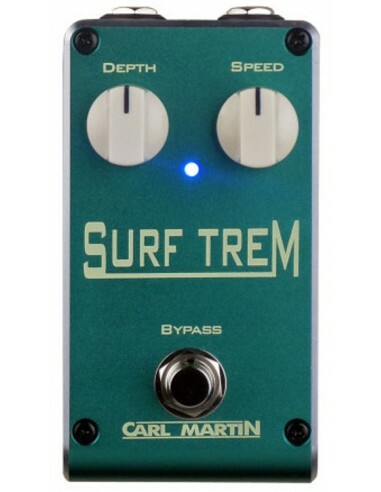 The ‘Surf Trem’ gets its’ trem circuit from the CM Tremovibe. With just a ‘speed’ and ‘depth’ control (just like our old tube amp) those classic tones are easy to achieve. 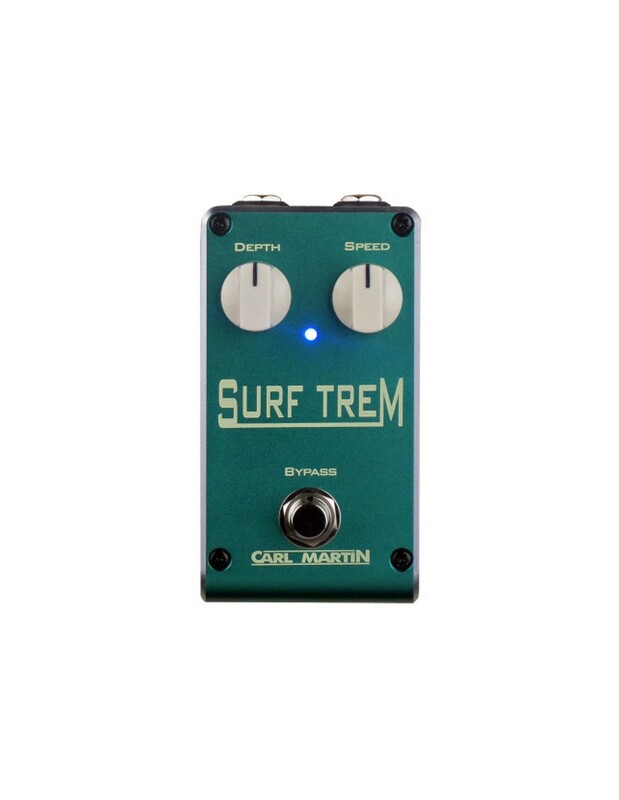 The retro heavy diecast case with 9 volt battery compartment, cool colour and heavy duty bypass switch, make the ‘Surf Trem’ a must have in every pedal box.